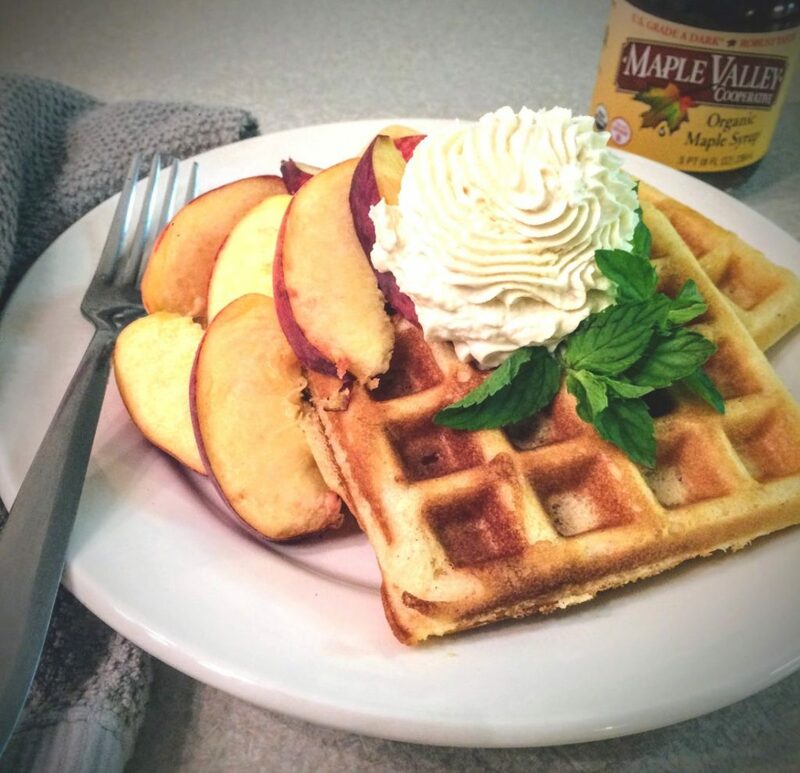 Local chef Jason Trahan is back this week to help us celebrate National Waffle Day; August 24! 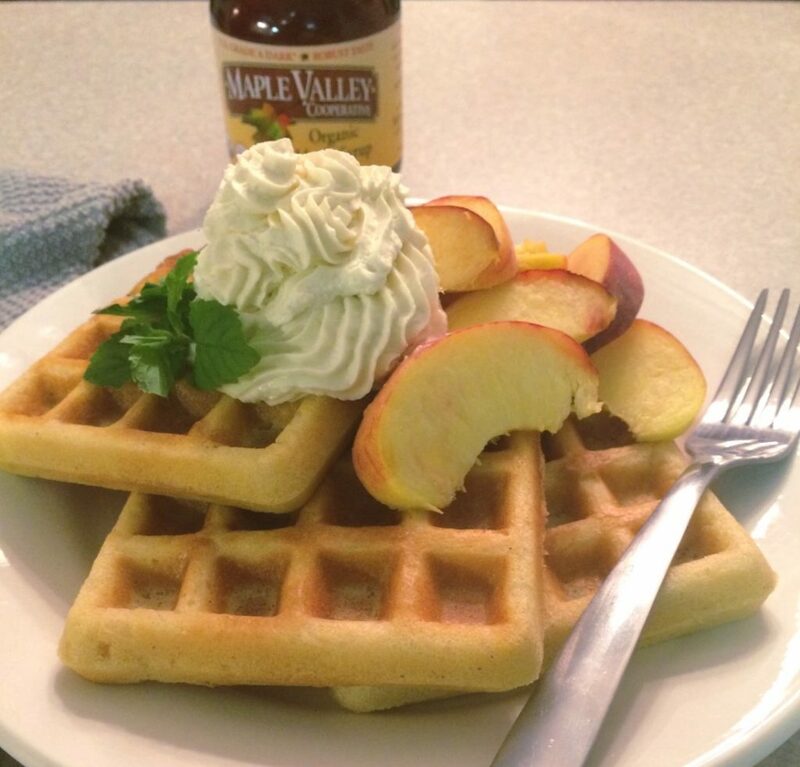 For the occasion, Jason came up with a Maple Spice Waffle recipe to share. Check out his walk-through below, and don’t forget to celebrate on your own by giving it a try at home! Enjoy! This waffle batter recipe is very versatile in that it can be stored for up to a week in your fridge and is also good for making pancakes as well. If using after storage, I would recommend mixing again before use. I think the maple sugar and nutmeg make for a nice flavor combination and also paired nicely with the fresh peaches and whipped cream that I used. I did find that it needed more maple sugar and vanilla extract for better flavor. This would be a great breakfast or dessert option depending on how sweet you want the waffles. 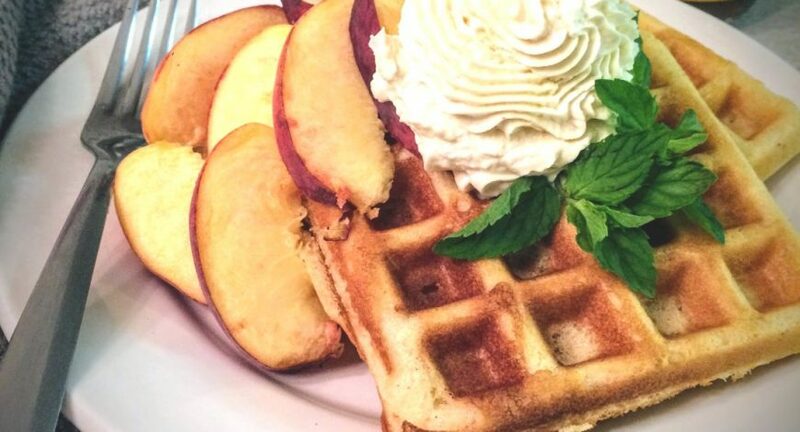 Other than the peaches, really any fresh fruit would go great with these waffles. The particular iron that I cooked on worked best for me at high temp, but again, results could vary. In my opinion, I got the best results when I sprayed in-between uses and cooked for a full 7 min to achieve optimum crispiness! I was able to get eight waffles total with this recipe, so it could easily feed 4-6 people depending on everyone’s appetite. Of course, don’t forget your Maple Valley syrup because no waffle is complete without it. Thank you for reading and I hope you enjoy! This waffle batter recipe is very versatile in that it can be stored for up to a week in your fridge and is also good for making pancakes as well. If using after storage, we recommend mixing again before use. 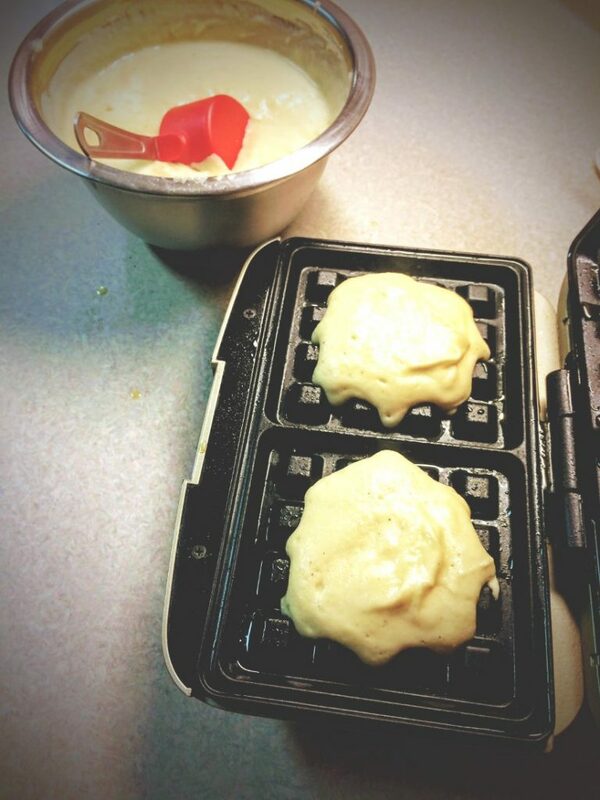 Preheat waffle iron to desired temperature (medium high heat). Mix together dry ingredients in mixing bowl and set aside. 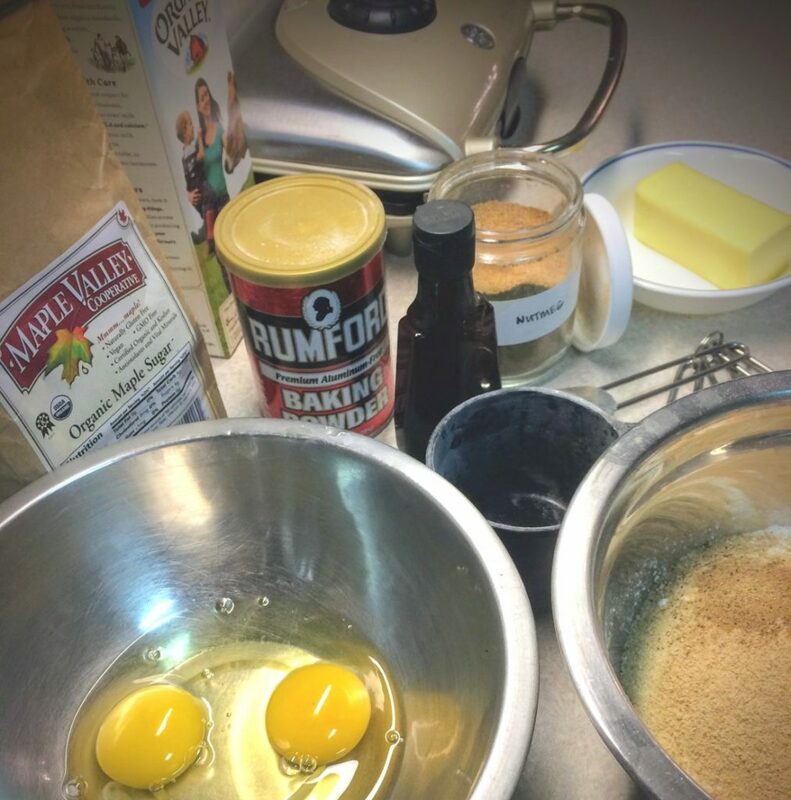 In a separate bowl, mix eggs then add warm milk, clarified butter and vanilla extract. Add wet ingredient to dry ingredients and beat until thoroughly blended. 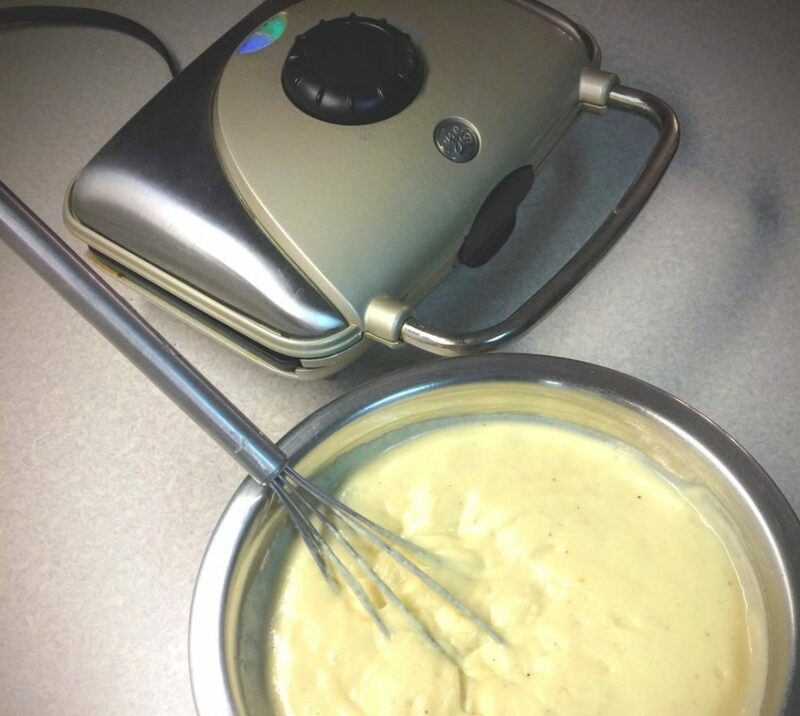 Spray oil over waffle iron and ladle waffle batter into iron. Cook the waffles until crisp and golden brown and serve immediately. Cooking time may vary depending on iron but typically 5-7 min should work.